Online learning has been around long enough to have inspired a few rumors. But learning from home is nothing new. In fact, in the pre-internet days, home-based education went by the name “correspondence course,” based on the early days of taking classes and sending assignments by mail, or correspondence. But online school has brought home-based learning to a new level, allowing students to take courses from skilled educators alongside others who are learning virtually. Still, there are a few misconceptions about online learning that persist. Many people erroneously assume a degree or diploma from a virtual school won’t be as respected as a traditional one. 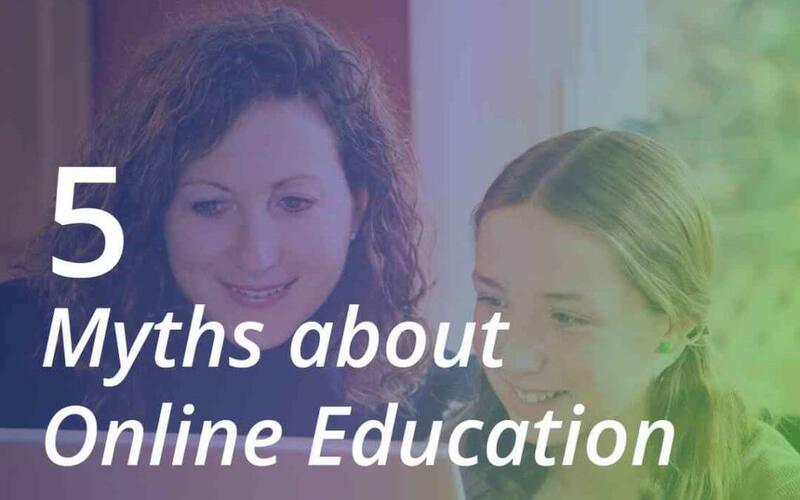 The truth is, from online public high schools to undergraduate and graduate courses at the college level, today’s virtual schools are accredited by top organizations, with curriculums that are designed to meet current educational standards. A longstanding myth is that online education lacks the challenges found in the campus-based learning environment. That is far from the case. Online learning can be a great homeschool alternative, and any educational environment must meet Department of Education standards. When asked, most schoolteachers and administration admit that virtual education is just as difficult, if not more so, than the classroom setting. Thanks to technology, interaction is a large part of any online learning experience. Not only will you have access to your teachers through tools like chat, video conference, phone, and email, but you’ll often be part of a larger community of students who communicate virtually. Plus, because you can manage your coursework when it’s most convenient for you, you can schedule social time around that. Rather than squeezing a few minutes to talk between classes, you can spend time with friends in the middle of the week and on the weekends. Although online education is very popular for college students, it’s also become a great alternative to public school. These courses are put together in coordination with the local Department of Education to ensure they meet all requirements. Licensed teachers will work with students to administer the coursework and answer any questions they have. In some ways, it’s better than the in-person experience because students get more one-on-one attention than they would if they were competing with hundreds of other students. Although attending public school at home is nothing new, as it has grown in popularity some have assumed it’s a passing fad. In truth, technologies like videoconferencing and text-based collaboration will only become more heavily embedded in everything students do. As augmented reality becomes more accessible to the average household, students will even be able to place themselves in the classroom environment from the comfort of home. Over time, this means online learning will only grow in popularity. Whether you’re considering pursuing middle school, high school, or college education online, there are plenty of positives to the experience. You can take courses at your own pace with more one-on-one support than you’d generally get in a classroom environment. Even the longstanding myths are gradually going away as online learning becomes more mainstream. The key to BlueSky’s success is our unique approach to student support. BlueSky offers students a world-class online education backed by unsurpassed resources and individualized attention. If you’d like to learn more about what BlueSky Online can offer your student, please call 651-642-088 or visit our contact us page.